The happiest man on the planet has been worn down by the sheer poopiness of Earth and her people. 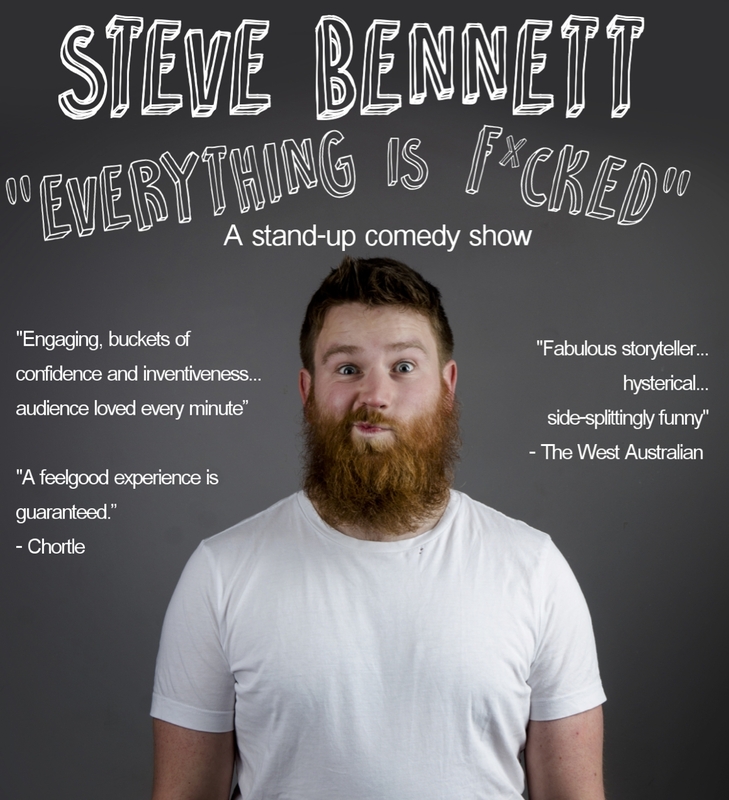 Join Bennett on a magical journey through the scariest bits of modern living, find ways to cope with it all through songs, poems, puppets and razor-sharp stand-up from one of Ireland's finest comedic talents. Steve Bennett is the happiest man on the planet, but he's been worn down by the sheer poopiness of Earth and her people. Join Bennett on a magical journey through the scariest bits of modern living, find ways to cope with it all through songs, poems, puppets and razor-sharp stand-up from one of Ireland's finest comedic talents.